A Sunroom or Screen Porch brings the beauty of the outdoors into the comfort of your home. And thanks to MGM Custom Homes & Remodeling LLC, you can enjoy abundant natural light and panoramic outdoor views any time, no matter what the weather brings. With a four-season room or Screen Porch from MGM Custom Homes & Remodeling LLC, you can experience the great outdoors in an entirely new way. Sunroom Project for Brain G.
This Homeowner wanted to extend his living space into his back yard. 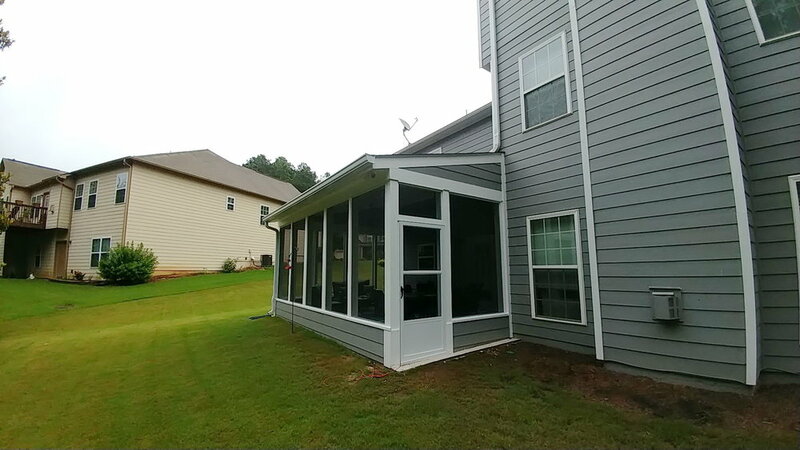 MGM constructed a screen porch large enough for a comfortable seating area and dining area. With screens, the Homeowner can enjoy fresh air – year-around. This is truly a four-seasons room – with windows, screens, air conditioning, fireplace and a heated floor. This is a year-around room for the entire family to enjoy. Opening from the Sunroom is a deck for grilling and for sitting outdoors. SunRoom project for kathy b. This Homeowner wanted to enhance her deck’s living space with screens and a fireplace for year-around comfort. She further enhanced her deck with a coffered ceiling – making an outdoor room – and still able to have fresh air. After constructing a study on the left side of the existing house to complete the father-in-law suite, MGM completed a screen porch across he back of house. 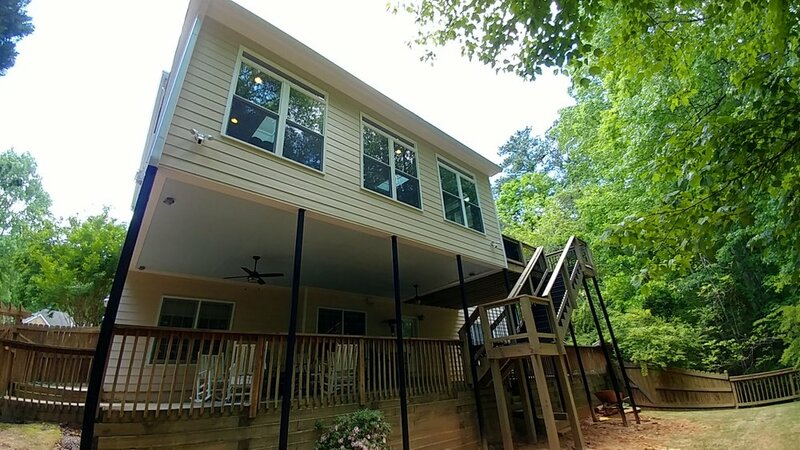 The screen porch is accessed from the newly completed study and from the existing house and provides additional living space for the entire family.